HA! Thought I wouldn't get this up today, didn't you!? 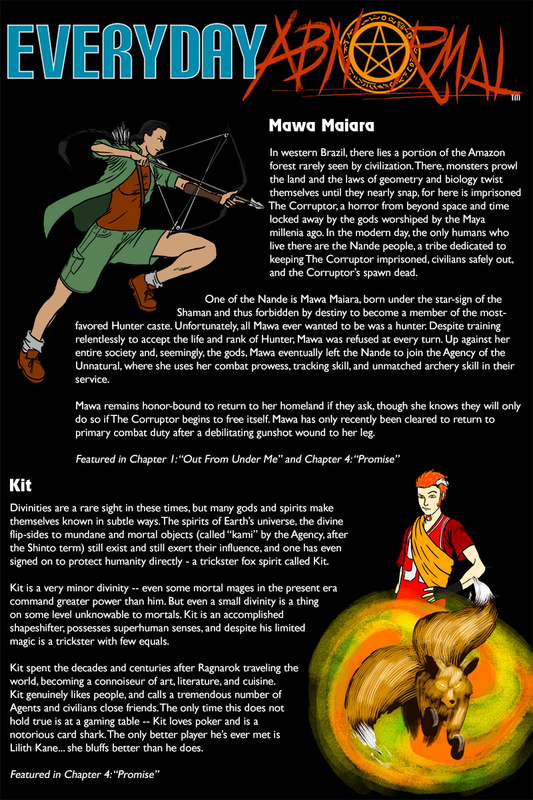 One last look at the greater world of EverydayAbnormal, focusing on a couple of the more popular supporting characters! And don't forget to join us on Monday for the beginning of Acting Out: the secret origin of Lilith Kane!